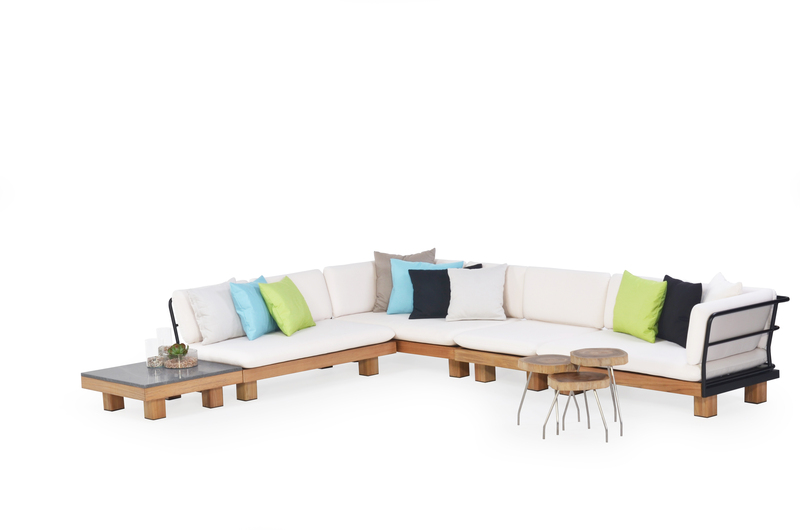 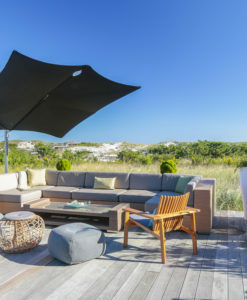 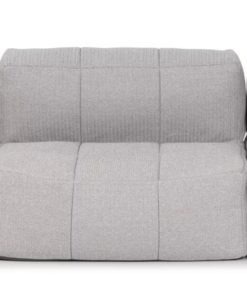 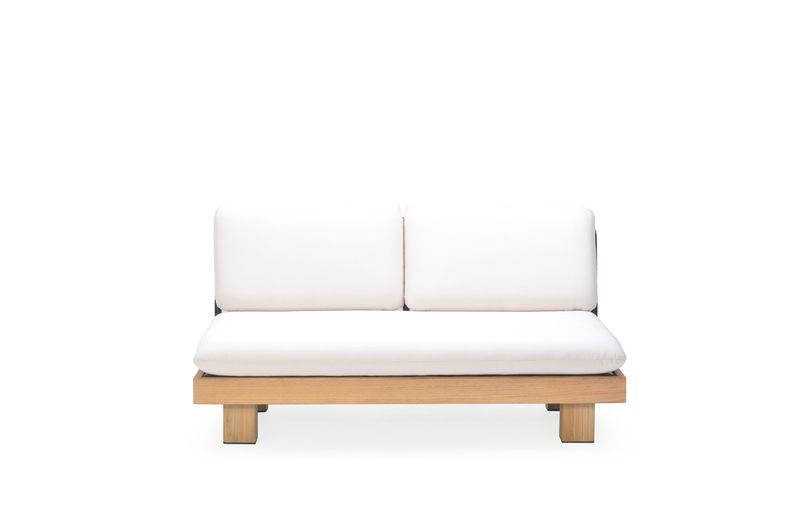 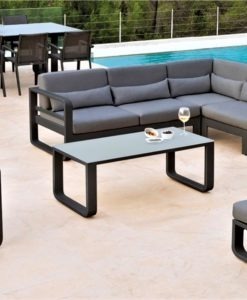 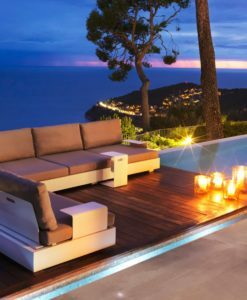 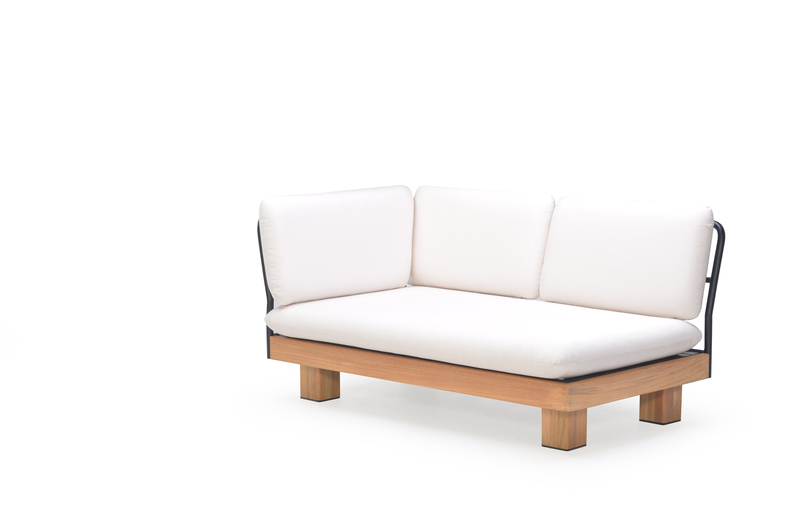 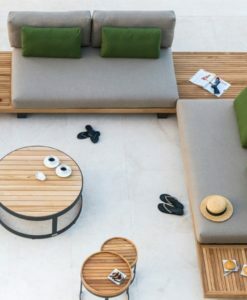 Ludo sectional sofa is great for any outdoor terrace or pool area. 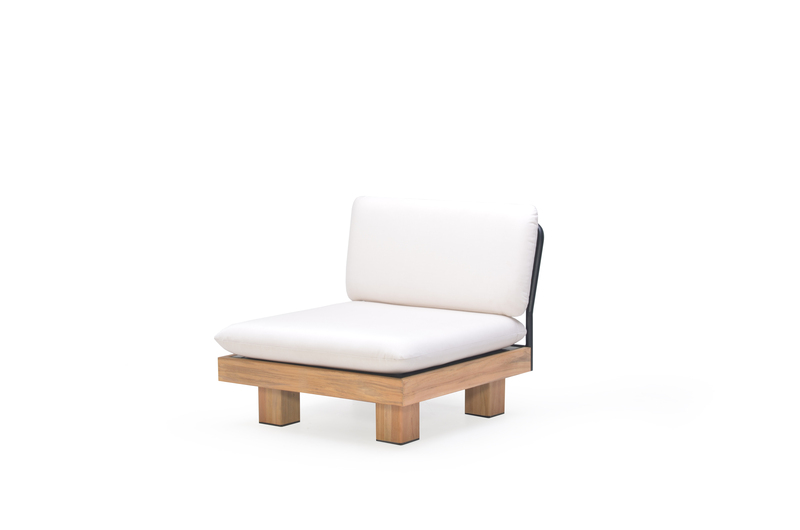 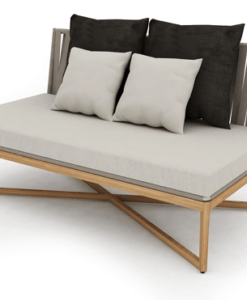 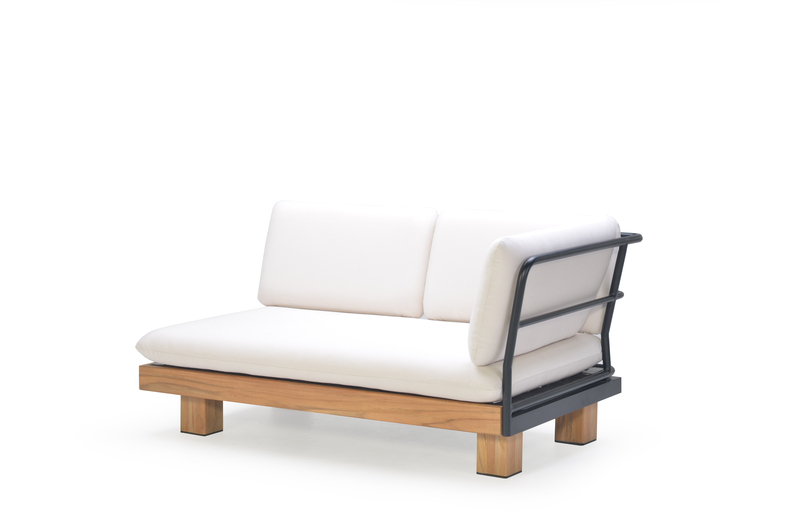 With powder coated aluminum and beautiful teak details with matching chaise lounger. 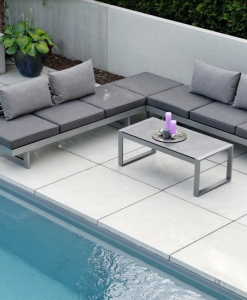 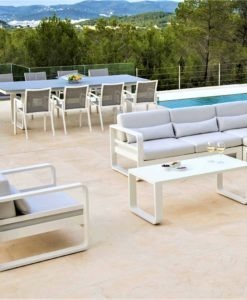 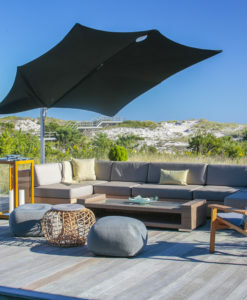 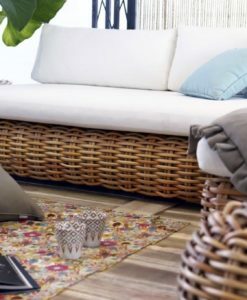 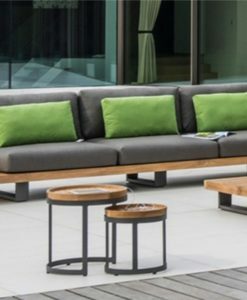 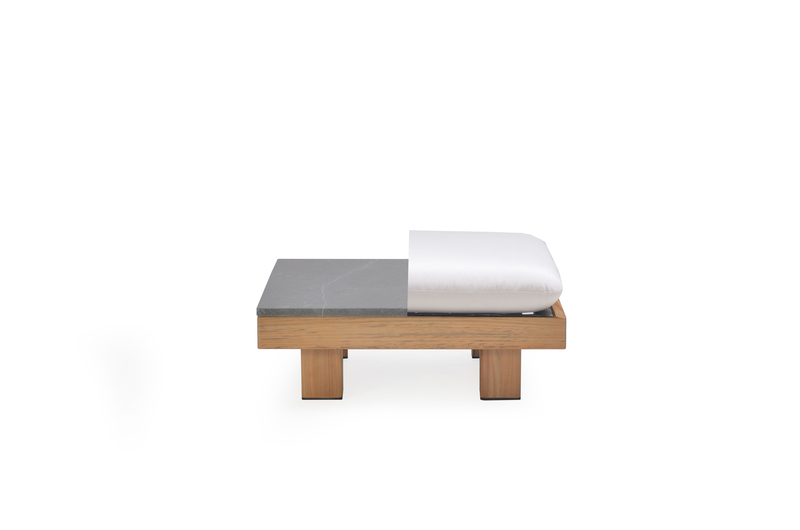 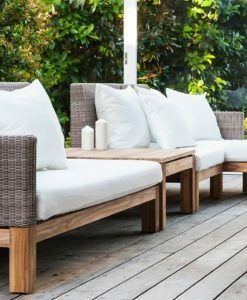 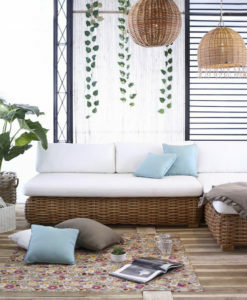 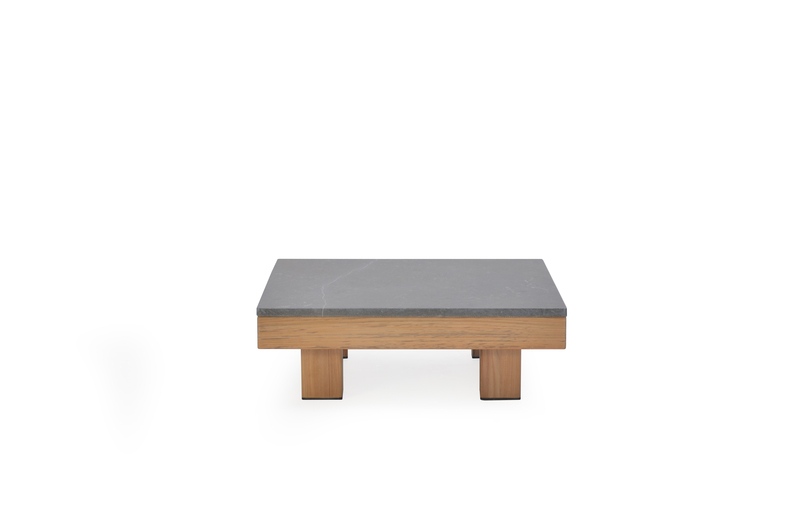 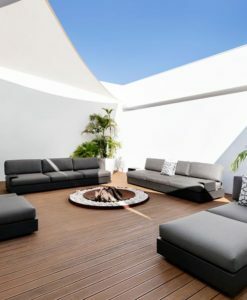 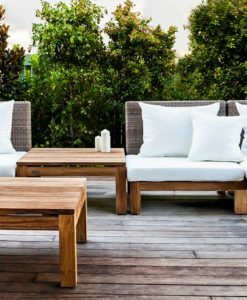 This collection is perfect for any outdoor hospitality project. 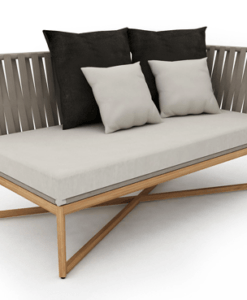 Powder coated aluminum frame and teak. 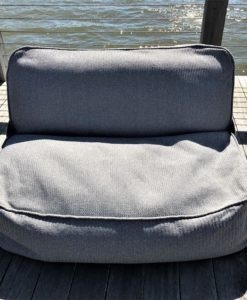 Cushions available with Quick dry foam & outdoor cushion.